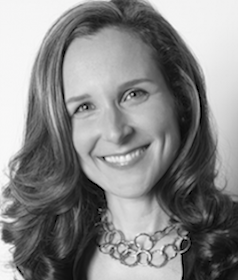 Lindsey Pollak is widely recognized as the leading voice on millennials in the workplace. Often called a “translator,” Lindsey advises both young professionals looking to succeed in today’s work environment and the organizations that want to recruit, retain and market to them. She is the New York Times bestselling author of Becoming the Boss: New Rules for the Next Generation of Leaders and Getting from College to Career: Your Essential Guide to Succeeding in the Real World. Her consulting clients and keynote speaking audiences have included over 200 corporations, conferences and universities, including Citi, Estee Lauder, GE, PwC, Ralph Lauren, Yale, Harvard, Wharton and MIT. Lindsey also works with select brands as their go-to in-house expert and public spokesperson for all things millennial, including strategic planning, media campaigns and social outreach. As a LinkedIn Ambassador for six years, she created and delivered webinars that trained over 100,000 people to advance their careers using the platform. Currently, Lindsey serves as The Hartford’s Millennial Workplace Expert and chair of Cosmopolitan magazine’s Millennial Advisory Board. Her advice and opinions have appeared in such media outlets as The TODAY Show, The New York Times, The Wall Street Journal, CNN and NPR. She appears on several lists of Best People to Follow on Twitter, including Mashable’s list of top non-fiction authors. Forbes named her blog one of the Top 100 Websites for Your Career. Lindsey’s passion for mentoring young people goes back to her student days as a dorm RA at Yale University. She is now based in New York City.